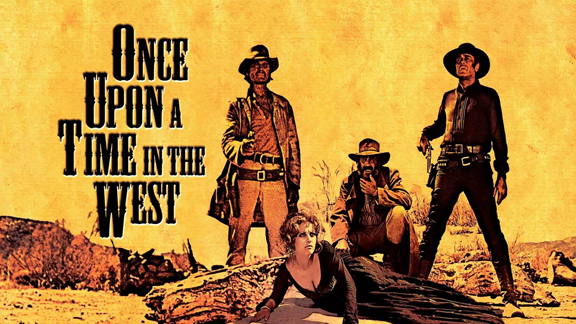 Bob Boze Bell's Big Bad Book of Bad Diary Entries: Once Upon A Mama Mia In The West? The great director, Elia Kazan (Zapata!, On The Waterfront), made it a habit to condense a movie script down to one sentence. That way he could understand what the story was really about and anything that didn't adhere to that one-sentence-idea was stripped away. • Tombstone: two gangs collide in a frontier town. • McCabe & Mrs. Miller: An ambitious gambler gets in over his head. • The Searchers: A racist loner seeks revenge but finds redemption. • 26 Men: A handful of Arizona Rangers saddle up to solve crimes in the vast Arizona Territory. • Hell Or High Water: A retiring Texas Ranger tries to catch two brothers who are losing the family farm to a crooked bank. • Once Upon A Time In The West: The railroad brings woosies. "A great nation has been born. It's been a difficult birth. But all the violence has made the greatness possible. [From there] the West has given way to the great American Matriarchy, the worship of 'mom.' America has come to be based on this, and the arrival of the railroad ushers in the beginning of a world without balls." A close-up study in facial expressions.